Hi, Crafting Chicks fans! I’m so excited to be back again this year. 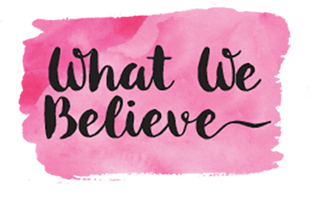 I am Lorrin Sell, and I blog over at Embrace the Perfect Mess where we talk about all things related to mom life (photo tips, quick recipes, easy DIYs, family travel, and so much more!). Lately, I have been talking to our kids a lot about what it means to be kind to others. I’ll admit with the amount of yelling that happens in our house at times, I feel like we lose our way. Talking about kindness, and thinking of ways to be kind to others seems to pull us back. Enter kindness rocks. 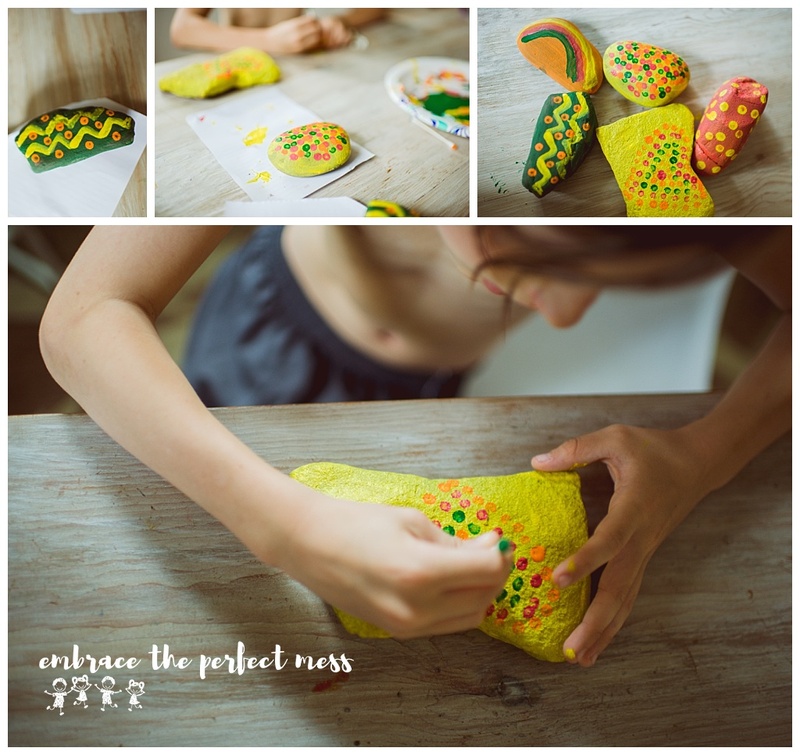 If you haven’t heard of The Kindness Rocks Project, it’s a really cool concept. You create rocks with inspirational sayings or words of kindness, and then place them in places where others can find them. I just love how this project is all about making someone else feel good about themselves WITHOUT ever seeing the end result. The kids had a blast making the rocks, and thinking about things that would others feel happy to see. 1. Go outside and find smooth rocks to make your kindness rocks. We are fortunate to have large river rocks in our landscaping, but you could find rocks anywhere. And while others may choose to purchase rocks for this project, hunting for them makes the project more of an experience! 2. 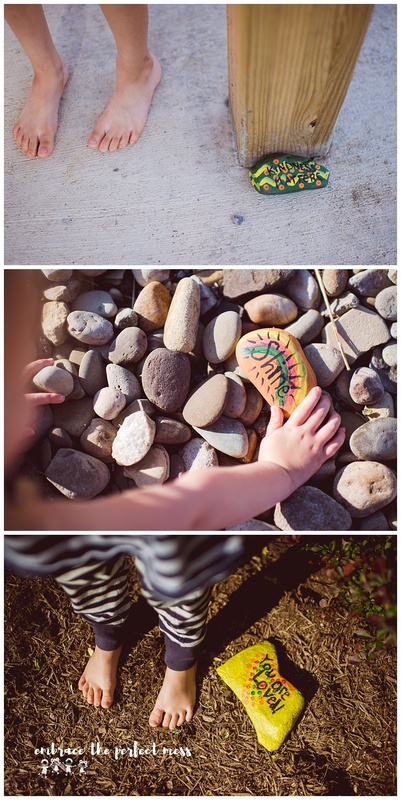 Use acrylic or tempura paint to paint the rocks. We painted our rocks a solid color, and then added designs to them and words once the paint had dried. 3. 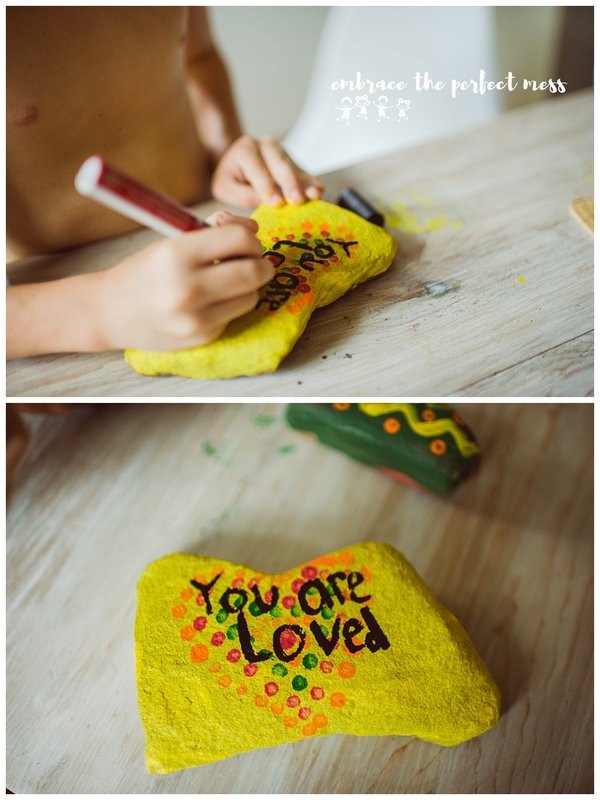 Add inspirational sayings, or quotes to your rocks with an oil based paint marker. We did these with the older kids, but if the younger ones had done this, I would have done the writing for them. 4. Spray your finished rocks with a clear acrylic sealing spray. 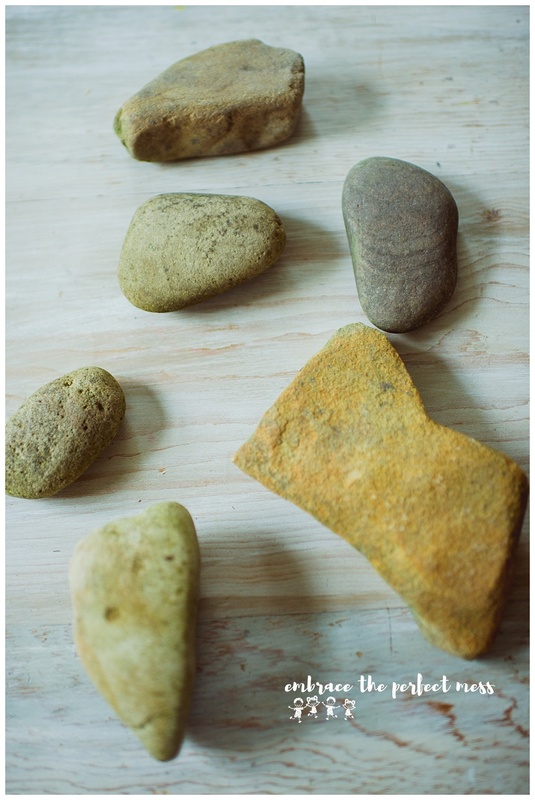 Since we used tempera paint to paint the rocks, and since they will be staying outside spraying them with a sealant is a must to make them last. In the past, we have tried to paint mod podge over them as a sealant, but the quotes can sometimes smear with that technique so spray is a better option. 5. Distribute your rocks around town. We had so much fun deciding where to leave the rocks. We left them at the local playground, our church, a local restaurant, and even the school. A few days after we left our rocks for the town to find, we went back to check on one of them, and it was gone. In a crazy stroke of luck, we happened to run into the person that took it, and said he was going to take it somewhere else for a new person to find. We were so excited to think our rocks could end up in some far away place. 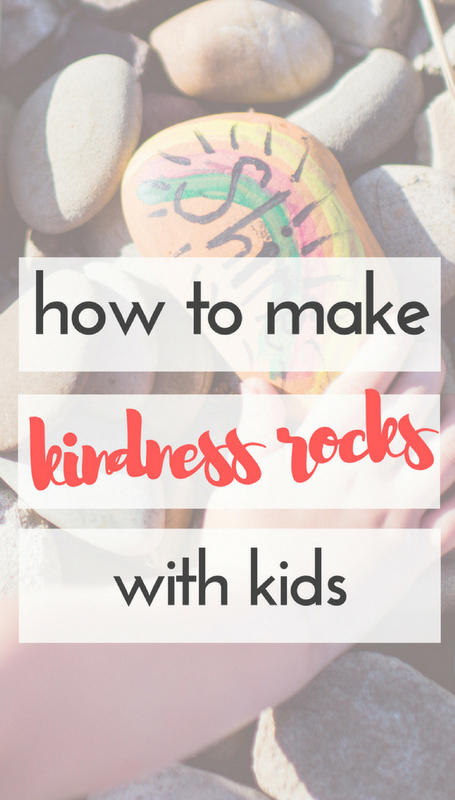 If you’re looking for more ways to teach your kids about kindness, check out this list of random acts of kindness to do with kids. And here is a great list of things to do this summer with your kids! It’s also fun to join a group if you have a local one. They usually have some paint parties where you get together to paint and form new friendships. I started a FB group in my town and now have almost 300 Members. We’ve had a front paper article in the local newspaper and are doing community wide events. Most recently the city invited us to do Art in the Park. We had 100+ people join in painting. It really is an awesome way to do something for your community. Every age can participate. Most importantly is that every single rock not only gives pleasure in painting them but also makes someone’s day! Rock on!